With this Hanukkah menorah you’ll always have the blessings for the candles, as they are engraved on the silver back stand for you. 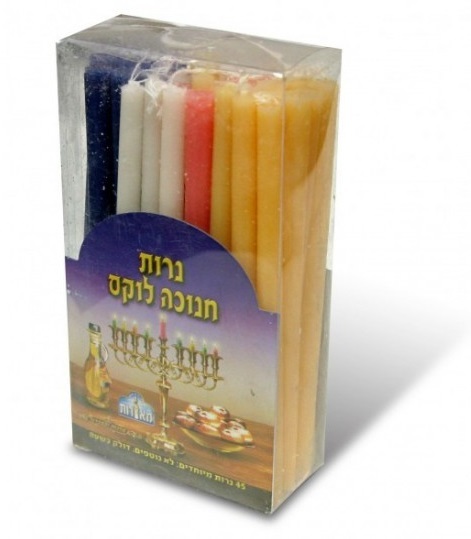 From the Novell Collection by Paldinox, this will make a great traditional gift for the Jewish holiday. In this traditional looking Hanukkah menorah, Paldinox brings you a rich mahogany stained wood has been overlaid with sheets of silverplate to make a holiday candle holder that’s a doubly blessed piece of Judaica. 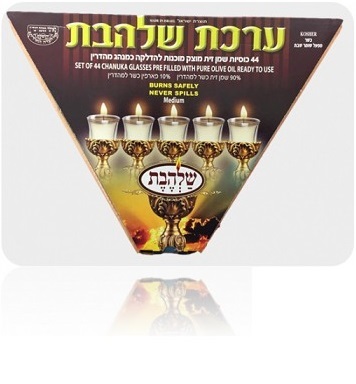 From the Novell Collection, you’ll find this hanukkiah has along the wood base eight highly polished silver candle holders which have been attached along a strip of silver. Behind this in the middle is a candle holder place for the shamash that is raised above the other eight, on a silver cube. Behind all this is a wood back stand that has been carved into an elegant curved shape and overlaid with more silver. This piece has been engraved around the edges with a floral and vine design. 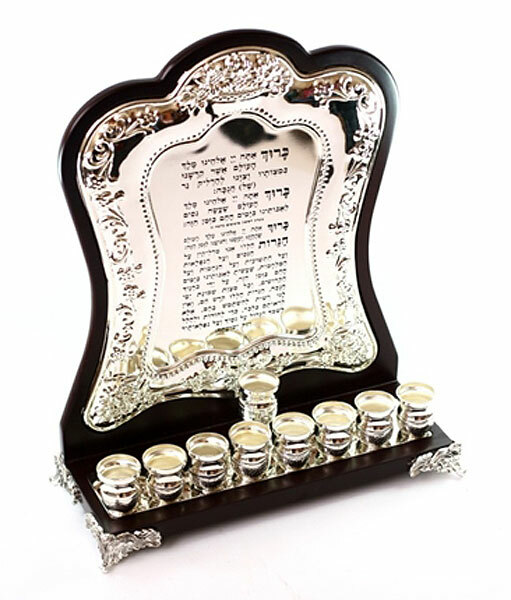 Inside this, you’ll find the traditional blessings over the Hanukkah candles have been engraved. All this stands on four delicately designed silver filigree feet which match the engraving on the back, to complete the look. The back stand reaches a height of 35cm while the bottom is 29cm wide. This Israeli made Hanukkah menorah would be perfect to give as a gift for the holiday and will be a welcome piece of Judaica for any home. This also makes an innovative and educational present for a Bar or Bat Mitzvah gift which will be cherished for many years to come.